Place the Brussels sprouts, olive oil, 1 ½ teaspoons salt, and ½ teaspoon pepper, balsamic vinegar in a bowl and toss with your hands. Spread out the mixture in a single layer on a baking sheet center core down, including some of the loose leaves, which get crispy when they’re roasted. 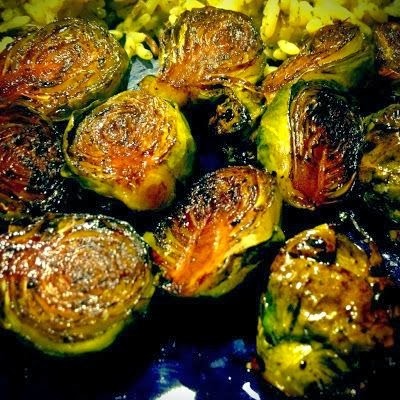 Roast the Brussels sprouts for 20 to 30 minutes, until they’re tender and nicely browned. Toss once during roasting. Remove from the oven, taste for seasonings and serve hot.